I was asked to conduct an engineering audit for a service provider in the African country "Chad" in 2006 and had to travel to the country's capital city "Ndjamena". Although I am reluctant to travel to these unknown countries with known instabilities, I was eager to visit the Sahara Desert and accepted the opportunity. I guess that tourism is not a big thing in Chad and the facilities are therefore not great but when I boarded an aircraft where I could not even see through the window, I started thinking on ways to cancel the visit. But I was already on board and there was no turning back. As we approached Ndjamena, I was intrigued by the landscape and I actually started to become excited as I have always had a fascination with the Sahara. The view was not as glamorous as a tropical island but it certainly had something special and unique, something I have never experienced before. I of course did not expect to see any aviation activities in Chad but when we landed, I was quite surprised to see a large military aircraft (looked like a Boeing KC-135 Stratotanker) heavily guarded by soldiers. At the time I could not figure out why this aircraft was there and simply assumed that it was simply just passing by. After disembarking and completing the formalities, I was transported to my hotel, a mere 500 meters away from the airport. This did not concern me as I did not expect too much aircraft in and out of this deserted place. Boy, was this a wrong assumption!! At 5AM the next morning I was awoken by what I first thought was thunder striking right next to my bed but I immediately realised that this could not be possible in the Sahara. Of course the next thing that came to mind was an explosion or an attack so I jumped out of my bed to investigate. As I left my room, a hotel porter passed who could see the anxiety on my face. 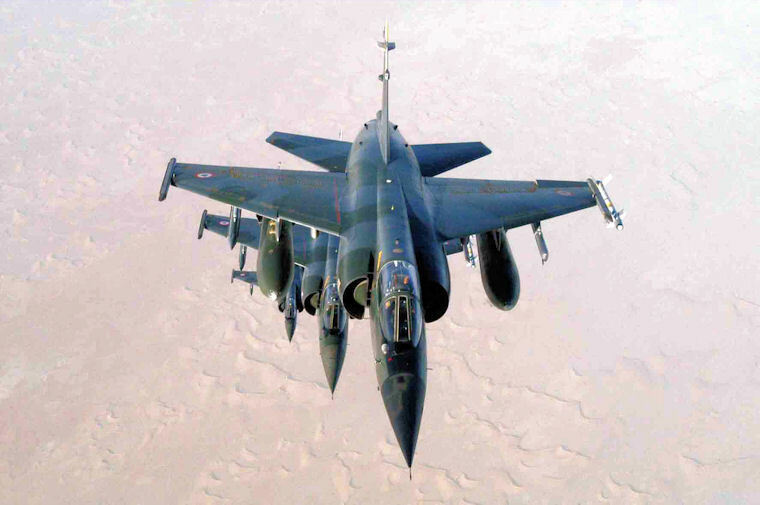 Without me even asking, he quickly explained that the noise I am hearing is coming from Mirage F1 fighters of the French Air Force supporting the United Nations to patrol the Chad national borders. This I had to see and I made my way outside for a better view. Of course with soldiers and security everywhere, I knew that I will most likely get into trouble if they see my camera but I had to take the risk, even if it was for a few poor shots obscured by the airport boundary wall. All of a sudden I was excited to be there and I returned to the porter to get more information. 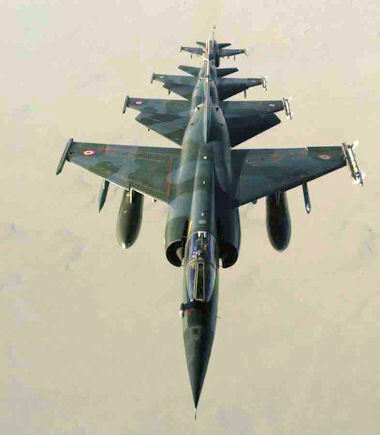 It turned out that there were seven Mirage F1 fighters based in Ndjamena to patrol the country's borders daily. One will remain on standby (or time-off) while the other 6 take off at 5AM and return at 11AM after completing a full flight round the country's borders. 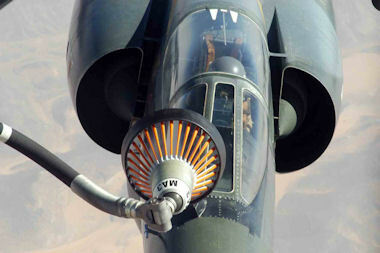 He also added that the tanker I saw on my arrival was used for inflight refuelling. 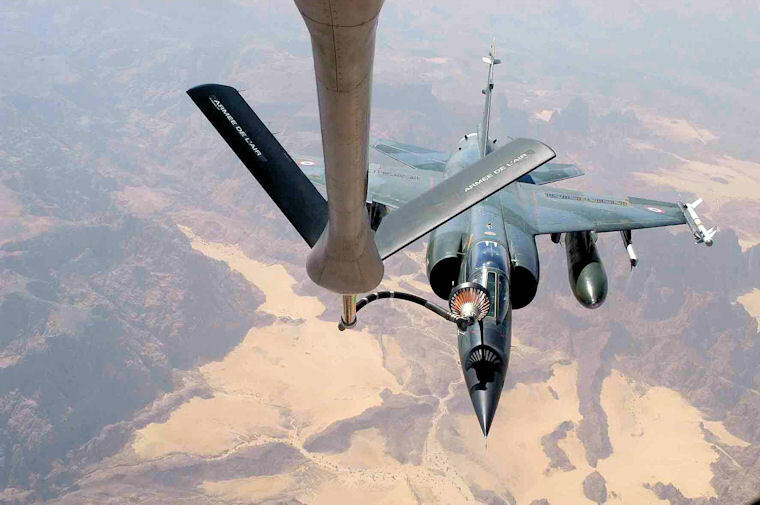 The tanker takes shortcuts to a few designated points while the jets would take the longer route and rendezvous with the tanker a few times during each sortie. With this exciting information, I was now even more determined to get a few photographs and at 10:30, I was hiding under a tree next to the airport boundary wall. 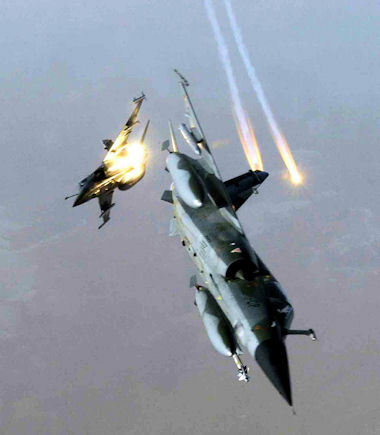 A Puma helicopter took off just before the jets returned and hovered in the area. I assume that this was for surveillance and to secure the area. The jets returned without any warning and with an explosion right above my head, I was too scared to take the photo being unsure if the explosion was directed at me. But with the second jet approaching, I could see that it fired something like a thunderflash which exploded right above the boundary wall. I realised that this was standard procedure but I am still not sure why they did it. I guess it is to chase birds or perhaps to create awareness, I really don't know. Of course I went there every morning to witness this spectacle but with poor quality equipment and an unsuitable location I needed more. So I reached out to one of my client's engineers, an amateur radio enthusiast who had contact with one of the pilots. 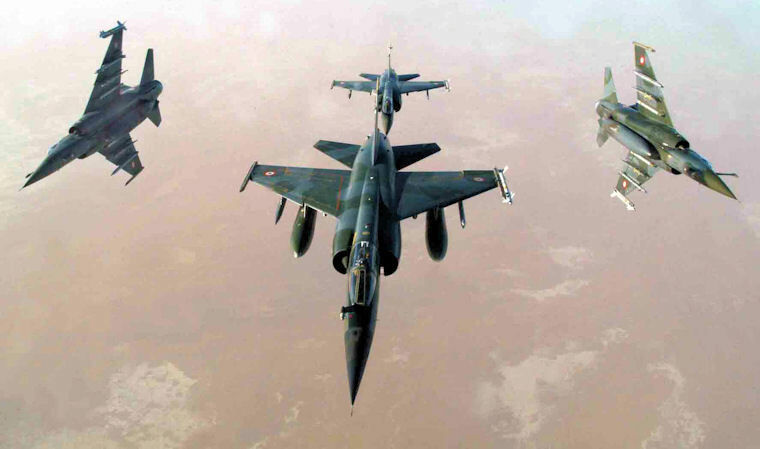 I wanted to join them on one of these flights, even if it was in the tanker and although this request appeared to be possible, my time in Chad unfortunately ran out and this could not be arranged at such short notice. As a consolation, the pilots sent me a CD with some photographs of their missions and committed to a first-hand experienced the next time I visit Chad. On my flight back to South Africa, I thought about it. 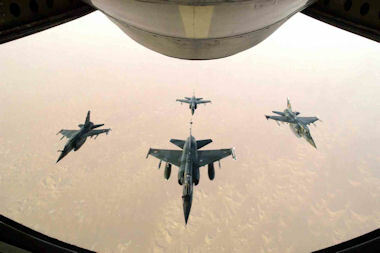 Many pilots join the air force to fly but end up flying the real thing 12 to 20 hours per year. Here you have a few pilots who were probably very unhappy to be deployed to a country like Chad but man, they are truly doing what they intended when they joined the air force.